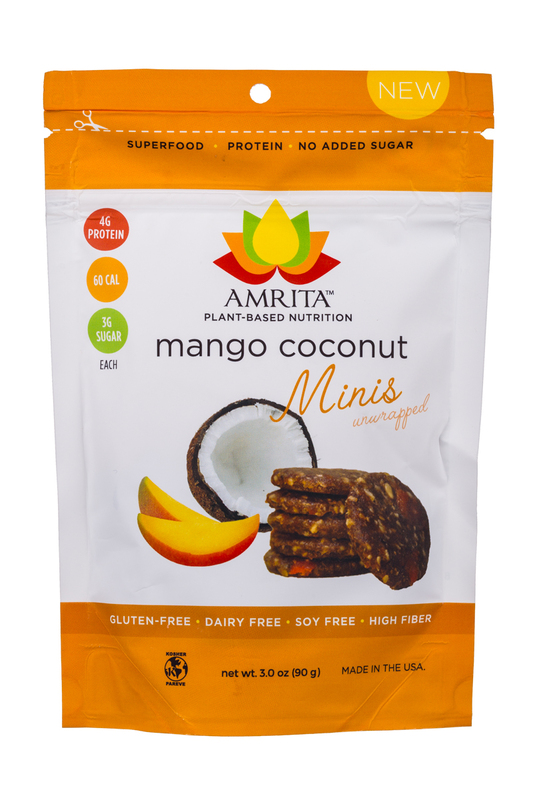 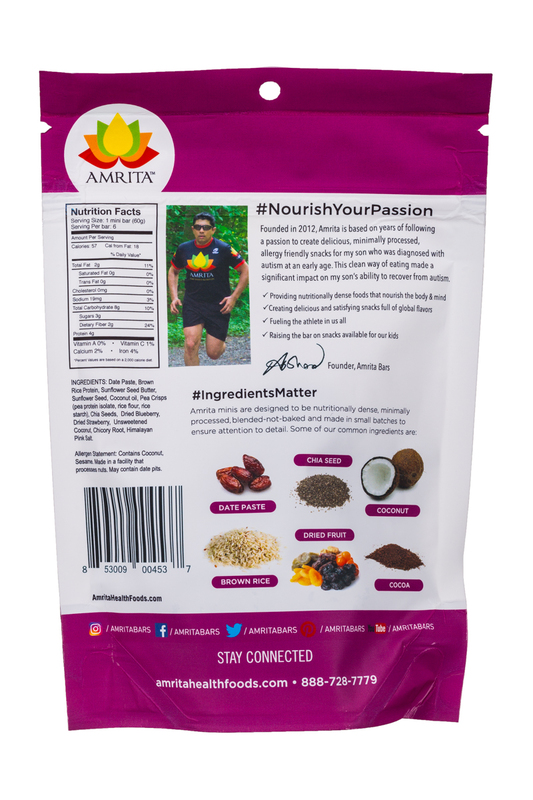 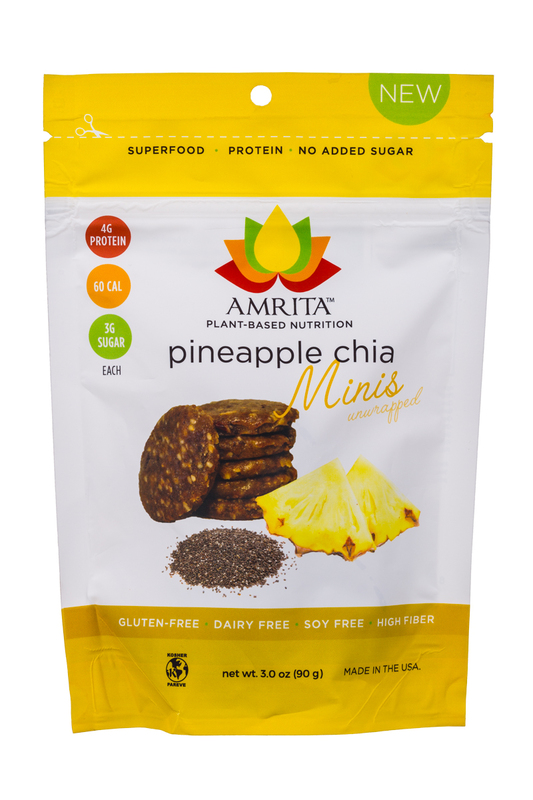 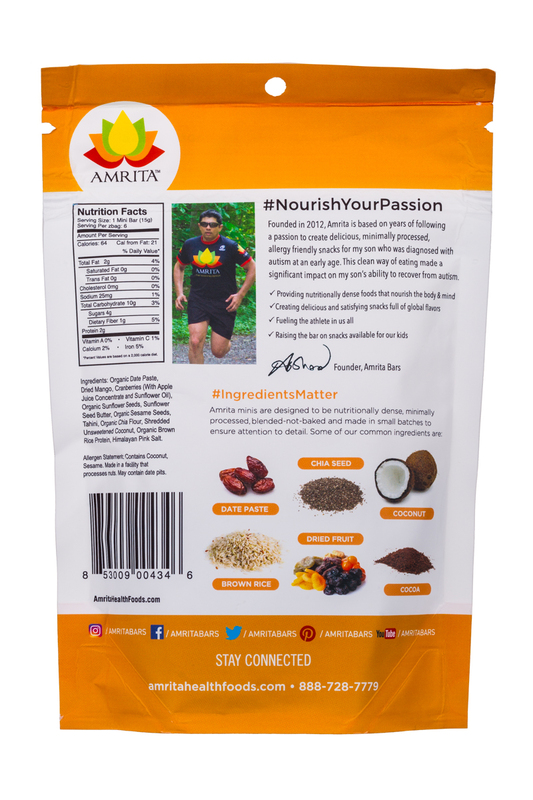 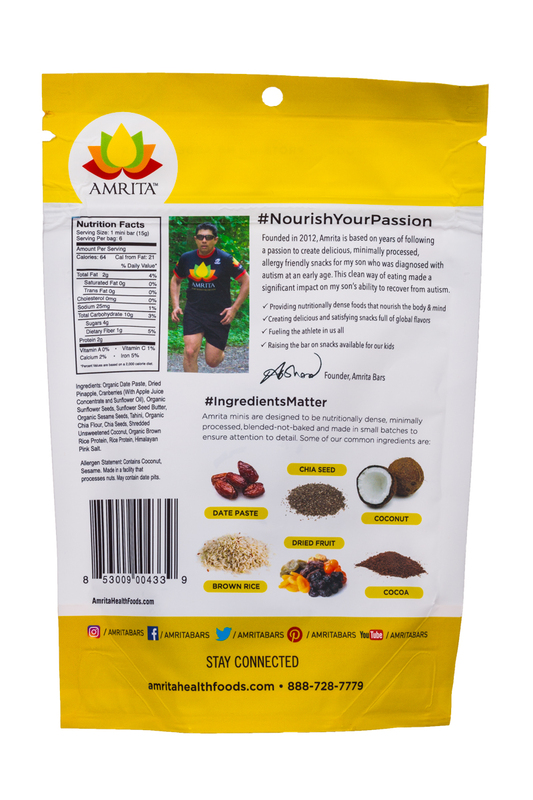 Amrita Bars was founded in 2012, based on Arshad's journey with using an allergy-friendly wholefoods approach to help his son recover from autism. 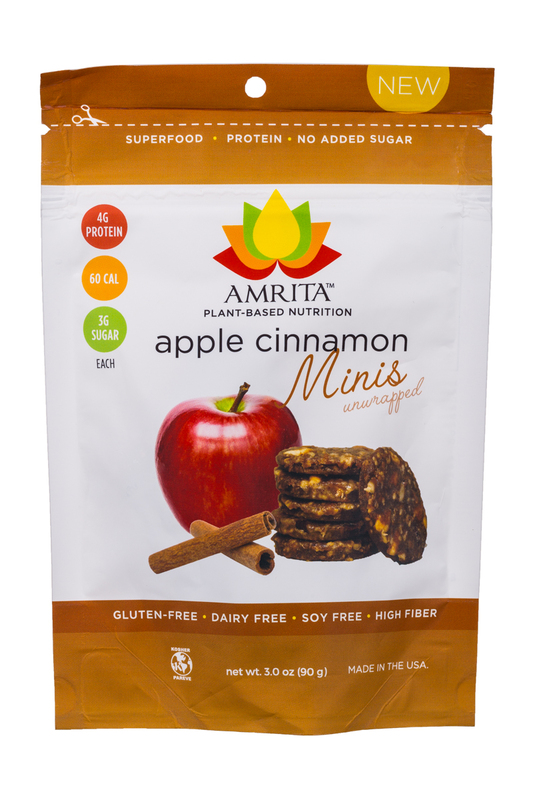 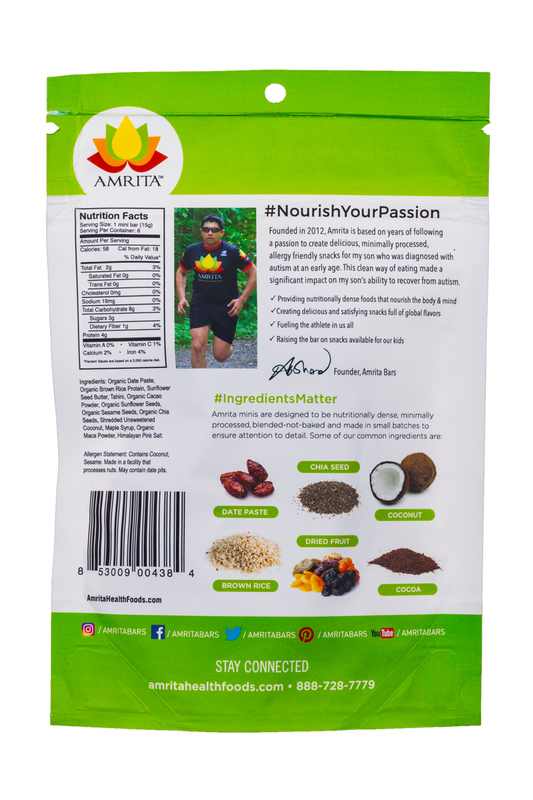 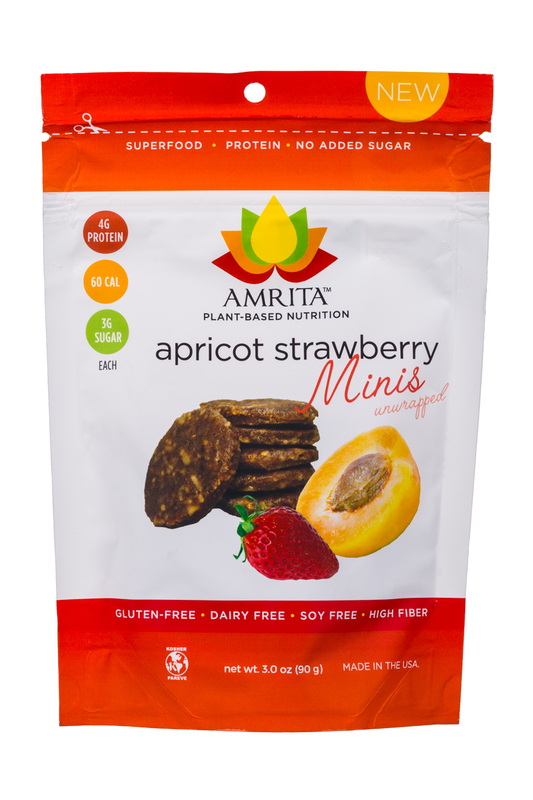 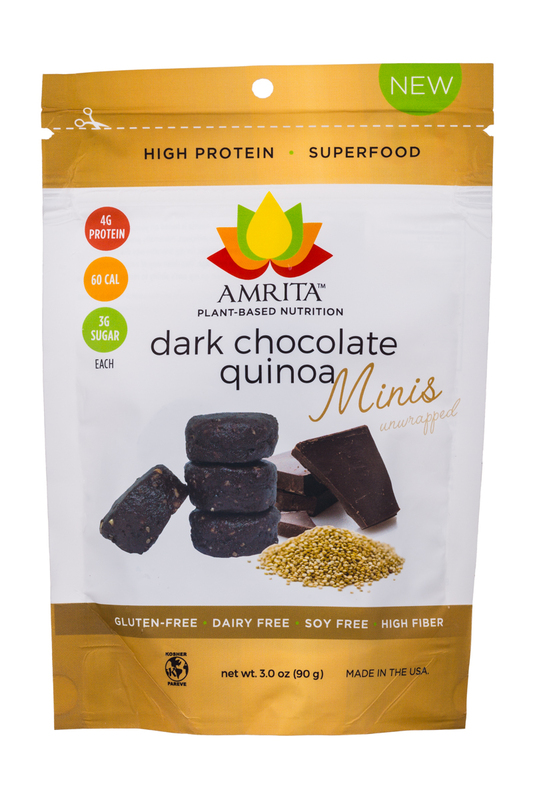 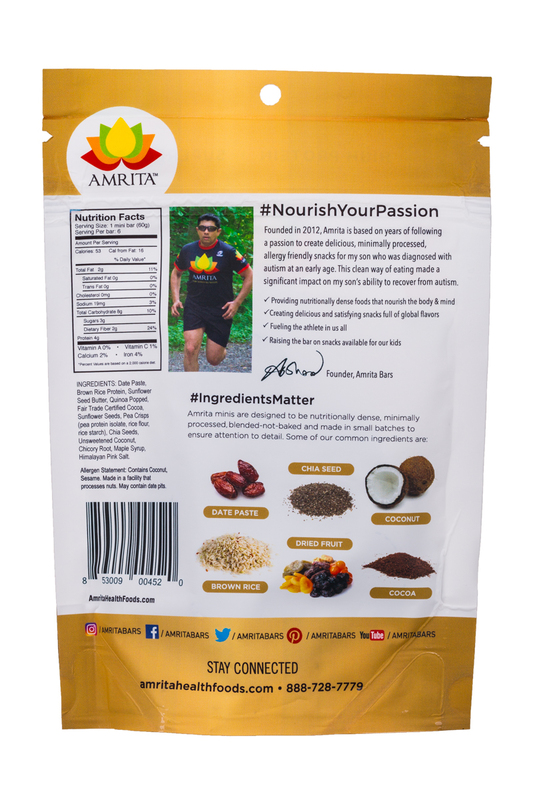 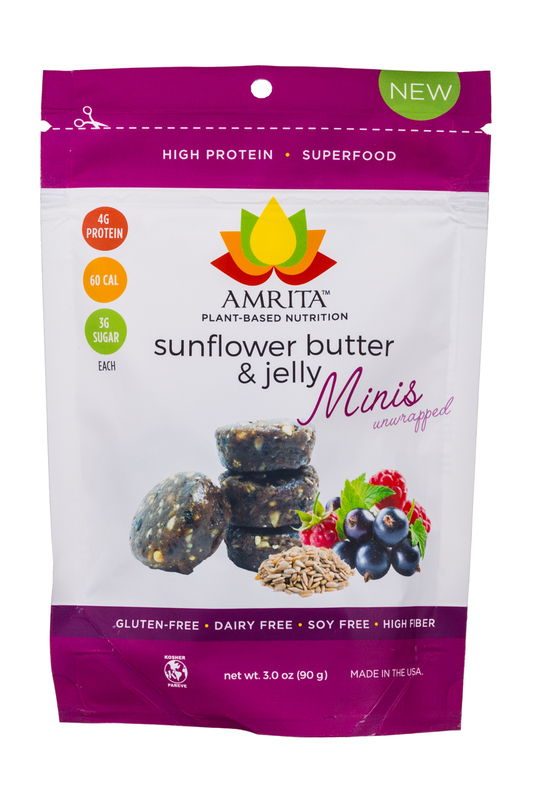 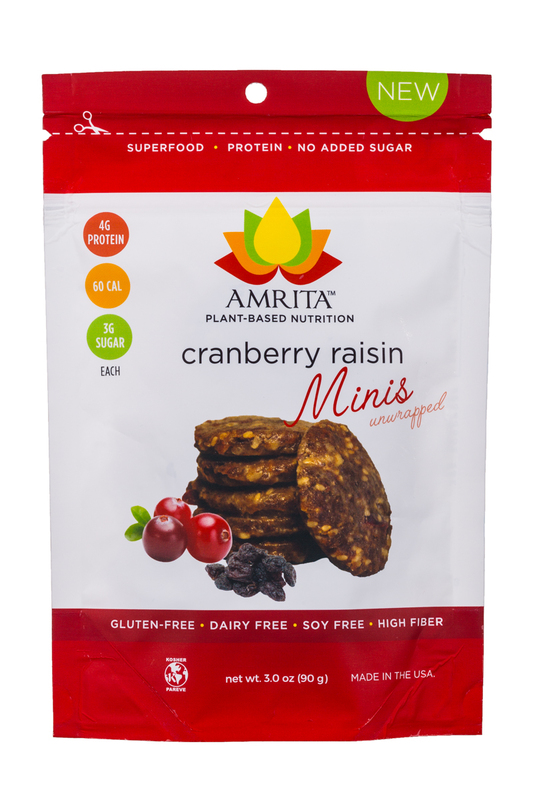 Amrita bars are plant-based energy bars that are made with only of a hand-full of fruits and seeds. 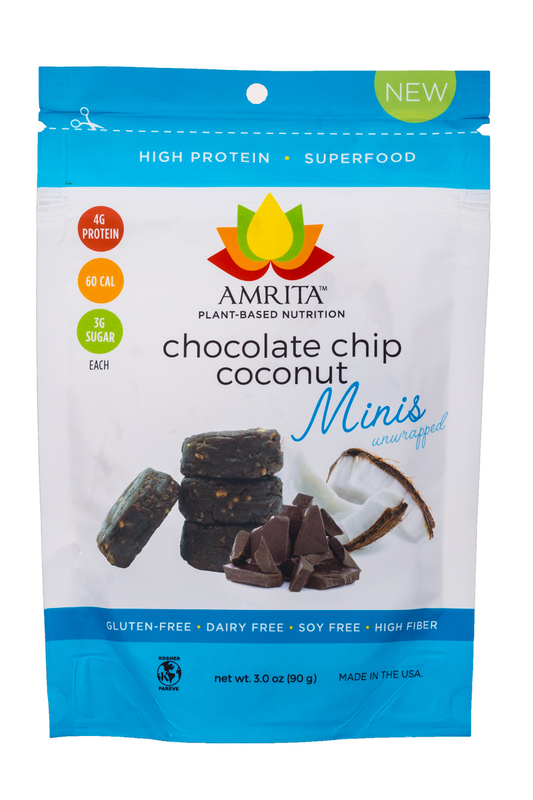 The bars are free of gluten, peanuts, dairy, soy, GMO and cholesterol. 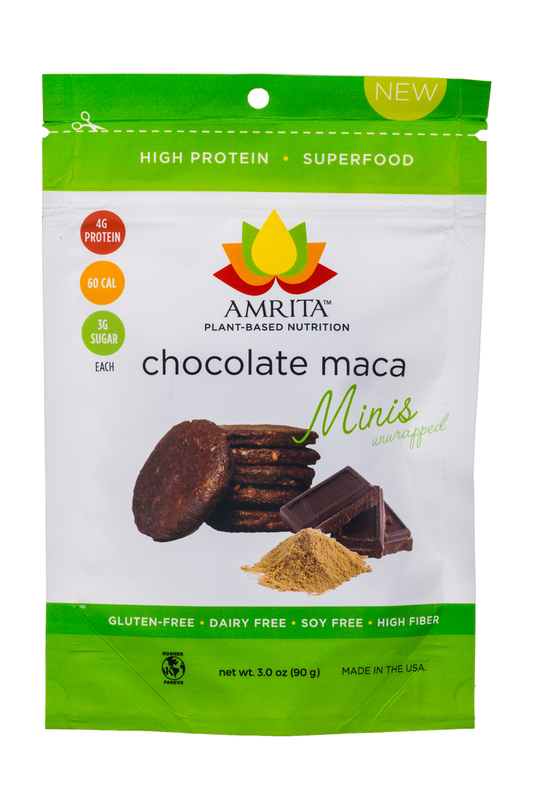 The bars are full of superfoods like chia, coconut and maca.